The United States Navy is the strongest proponent for the global missile defense mission amongst the branches of the U.S. military. Out of the Navy's core missions only the attack air strike and strategic nuclear capability does not involve missile defense. Protecting the fleet, international sea lanes, littoral areas including valued ports and providing ballistic missile defense against known threats, all involve the use of Aegis Ballistic Missile Defense (BMD) ships. The Aegis BMD ship is essential to the U.S. Navy and ballistic missile defense is essential to the Aegis BMD Ship. The Aegis BMD ship has two types of defensive ballistic missiles; the Standard Missile-2 (SM-2) for terminal defense of a small area inside the atmosphere and the Standard Missile-3 (SM-3) for short- and intermediate-range mid-course defense of a much larger area and in space outside the atmosphere. These defensive missiles are connected through a computer processor fire control unit, currently labeled the Aegis BMD 3.6.1 configuration which also connects directly to the AN/SPY-1 Radar on the ship that searches and tracks wide areas for incoming ballistic missiles targets. The Aegis BMD 3.6.1 configuration is fully automatic once activated, providing computer algorithms that produce firing solutions that are executed through processor integration with the AN/SPY-1 Radar to the SM-3 and SM-2 missiles prior to launch and during the flight of these missiles until intercept. Home ported in Pearl Harbor, Hawaii, the U.S. Navy currently has 6 Aegis BMD ships which support the 5th Fleet in the Middle East and the 7th Fleet in the Far East. One or two of these Aegis BMD ships are always deployed while the remaining ships are either in transition or being refurbished and refreshed in Hawaii. While on their missile defense mission the Aegis BMD ships predominately operate on their own rather than with the battle fleets around an aircraft carrier because their patrol areas are limited by the geometry and physics of the ballistic missile threat they have to defend against. In addition to supporting the fleets, the Pearl Harbor based Aegis BMD ships provide the testing platforms for the most current and future Navy missile defense capabilities being developed. The USS Lake Erie (CG-70) Aegis cruiser is the primary ship platform for the U.S. Navy to continually test and demonstrate new capabilities at the Pacific Range Missile Facility (PMRF) in Kauai, Hawaii. With a rotation of three to four Aegis BMD ships to support one Aegis BMD ship deployed, the U.S. Navy currently has 20 Aegis BMD ships with one more coming on board later this year. Six of the BMD ships are cruisers, the remaining fourteen are destroyers. The cruisers are a slightly bigger ship with additional vertical launch containers in foredeck as well as the aft of the ship. The smaller destroyers have vertical launch containers in the aft of the ship only. Besides Pearl Harbor, the remaining Aegis BMD ships are home ported in San Diego, California supporting the 5th fleet and 7th fleets, Yokosuka, Japan supporting the 7th fleet and Norfolk, Virginia supporting the 6th fleet. There are four major patrol areas for these BMD Ships within the 5th and 7th fleets and one patrol area with the 6th fleet where the short- and medium-range ballistic missile threats to U.S. forces and allies are the greatest. Future Aegis BMD ships along with currently deployed BMD ships will be equipped with faster processors over time, a 4.0 configuration being tested now and eventually a 5.0 deployed in 2013. This will reduce processing time considerably, allowing the ship to track and engage more missiles while performing other necessary missions at the same time. More capable and faster defensive missiles as well as dual-band tracking technology to allow off-ship sensor integration that would extend the range and confidence of the defended area are being developed. 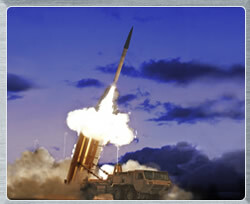 These include the SM-3 Block 1B and the SM-3 Block 2A under a "launch on remote" capability. 2008. The Navy will also play a major role in the new Aegis Ashore System proposed by President Obama, as the system will be developed and tested at the PMRF in Kauai. We are fortunate as a nation to have a state such as Hawaii to provide the U.S. Navy with numerous assets and strong support for their vital mission of missile defense, providing peace to our world through dissuasion and deterrence. It is with great honor and great respect of our United States Navy to have had the opportunity to tour and visit with the Sailors and Officers of the USS Hooper (DDG-70) and the USS Lake Erie (CG-70) in Pearl Harbor, Hawaii.